2/5/2019 – A new tournament is launching in Prague next month from March 5th to 16th by the organisers behind the Czech Novy Bor Chess Club. Similar to the Tata Steel Chess model, the 1st Prague International Chess Festival 2019 will feature a Masters tournament, and a Challengers tournament, plus multiple open events for players of various rating classes. The full roster of players in the Masters was announced today. The 1st edition of the Prague International Chess Festival will take place in Prague, Czech Republic, from March 5th to 16th, 2019, organised by the Novy Bor Chess Club. The Festival consists of two closed invitational tournaments — Masters and Challengers — plus a Main Open tournament, and several round-robin rating tournaments in the range of rating 1500 to 2000. 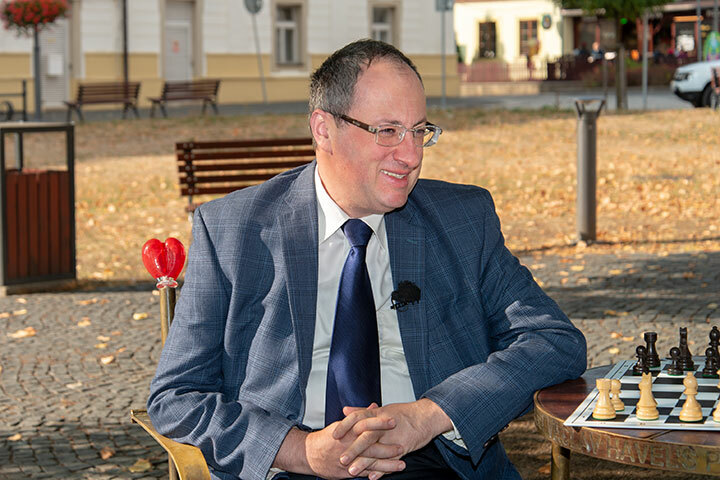 The Festival Director is Petr Boleslav, who organises the annual Corrida Chess Tournament matches, the eighth edition of which was recently won by Boris Gelfand. Gelfand and his match opponent Viktor Láznička are the two lowest seeds by rating in the Masters group, which features eight players rated over 2700. The official venue will be Hotel Don Giovanni, located in Prague's popular residential area of Vinohrady in close proximity to the city centre. The Masters tournament will be Category 20 (average Elo rating: 2715) and Challengers Category 14 (average Elo: TBD, the tenth player will be added soon). Masters = A, Challengers = B. Time in CET (GMT +1). Alexei Shirov could have easily played in the Masters section.. Excellent lineups, looking forward to the tournaments! Surprised that Pavel Matocha's name doesn't appear as organizer.